Over the years, government has steadily chipped away at parental discretion. You’re not alone if you feel like government has become too involved in how you raise your kids from birth to high school graduation. Some legislators want to take this to an extreme level on the controversial issue of abortion. Under Illinois’ common-sense parental notification law, health care providers are required to notify an adult family member (defined as a parent, grandparent, or stepparent who lives with the minor or legal guardian) 48 hours before performing an abortion for a patient who is under the age of 18. There are responsible, reasonable exceptions in this law for a minor if she is a victim of sexual abuse or neglect by an adult family member. New legislation is being considered right now in the Illinois Senate to repeal this law. We should all be concerned. SB 1594 goes too far, stating that a minor of any age could obtain an abortion without any notice given to an adult family member in her life. It’s important to note that Illinois’ parental notification law requires notice, not consent. An adult family member must be informed of the minor’s decision to have an abortion, but they cannot refuse permission or legally prevent her from carrying out her decision. This is an important distinction that radical pro-abortion advocates try to blur or intentionally ignore. Consider this: it is illegal under state law for minors to use an indoor tanning bed, buy cigarettes, alcohol or lottery tickets, or vote in an election. Yet if SB 1594 is passed into law, as physically and emotionally consequential a decision as getting an abortion will be considered less significant than getting a tan. Let that sink in for a moment. You don’t have to be a person of deeply-held religious values to recognize the absurdity of this situation. I believe my position on this issue reflects where most of us are at. Let parents be parents. Keep government out of the relationship between parent and child. Illinois’ parental notification law is sensible, and it’s working. Data from the Illinois Department of Public Health shows the number of abortion procedures on minors has decreased since the parental notification law went into effect. That is a good thing. We all recognize that a minor who is seeking an abortion is in need of support, compassion, and alternatives that ensure their emotional and physical well-being is cared for. The consequences of an abortion require medical, emotional, and psychological support and follow-up. Denying a parent or guardian the ability to be notified is not in the best interest of the child. 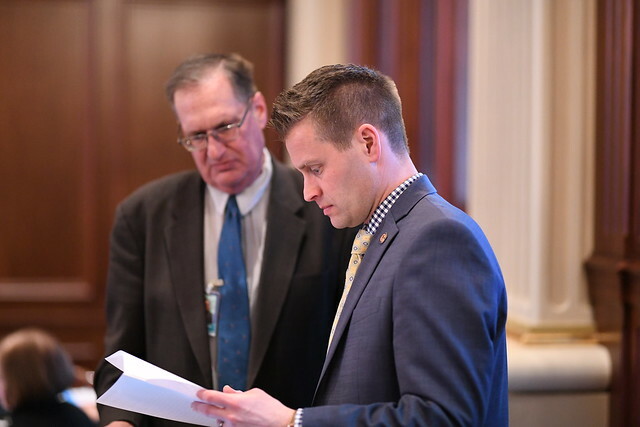 We need to focus our time and attention on spurring economic growth in Illinois, investing in our schools, and passing policies that will help keep more of our young people and retirees in state, not passing extreme legislation like SB 1594 that voters don’t want. Let’s keep our trust in parents and guardians. They know better how to provide for the physical and emotional well-being of their children than an intrusive overreaching state government.